When Bird met Miss it was meant to be, and we had to make a love-child. 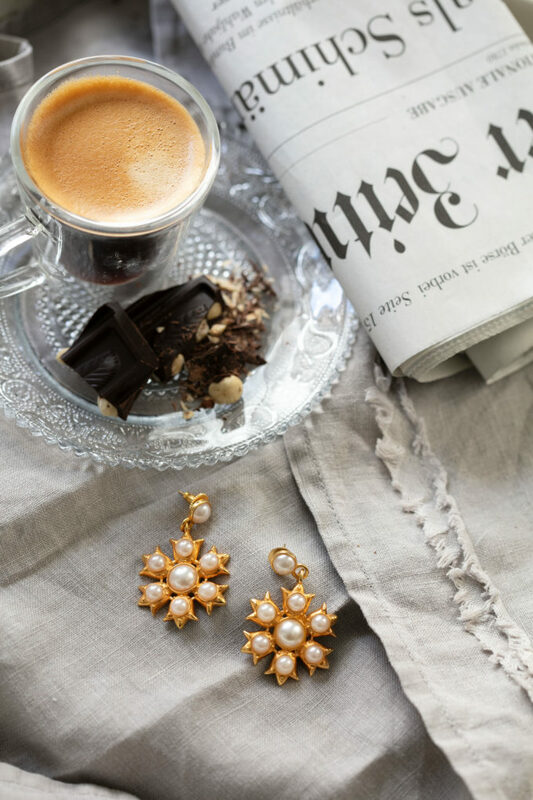 We chose to name the earring Bird with pearl earring, after the famous Vermeer painting, which history inspired us to create this piece, the earring has an antique golden pearl look. 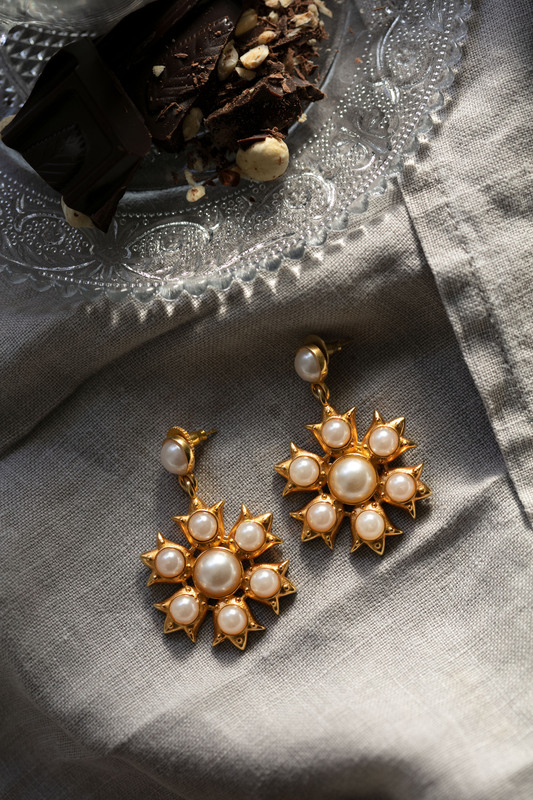 The earrings are made of s925 sterling silver which is gold-plated. It is made with faux pearls and is for pierced ears. The earrings are 5 cm long and 3,5 cm wide at its widest point. Delivery in the first week of November.